Posted on August 19, 2015 by Hannah B. 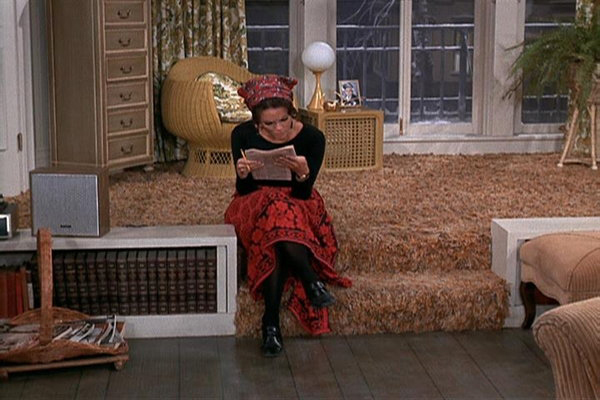 When I was little, sick days meant red Gatorade, VapoRub, and television—more specifically videos of the Mary Tyler Moore show. 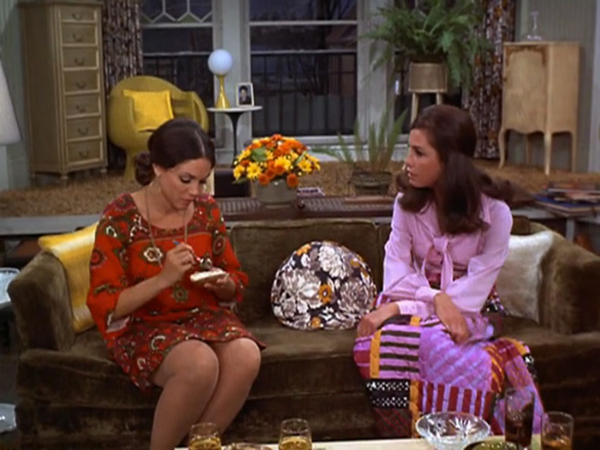 This week, I found myself on the couch again turning to Mary Richards for support. She really can take a nothing day and suddenly make it all seem worthwhile. And you know what stood out this time? 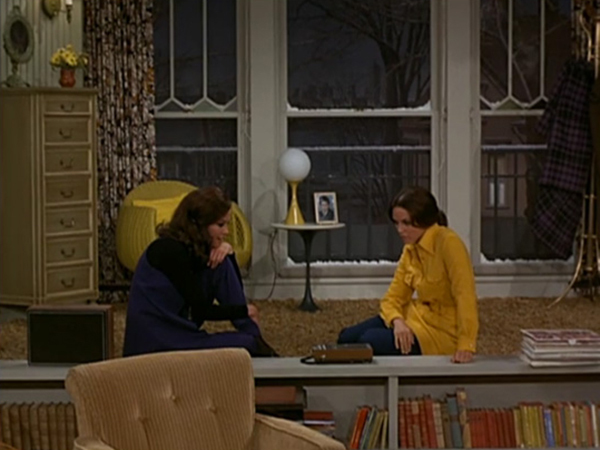 The Mary Tyler Moore Show apartment! 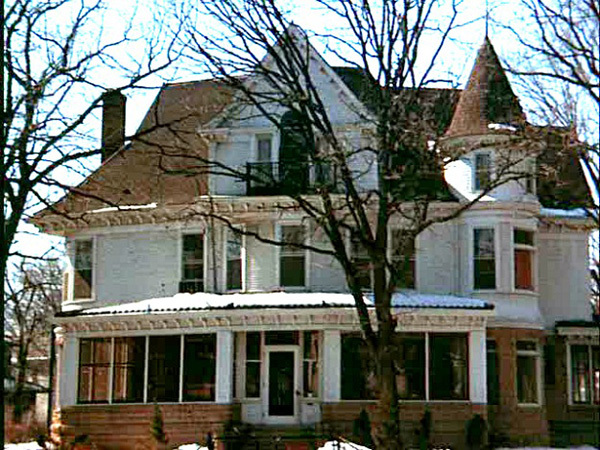 The working girl’s ultimate abode and every little girl’s first 1970s house crush. So today, I thought we should talk about the six things that made her pad so dreamy. 1. She lived in a storybook house. Turrets + stained glass would normally denote an over-the-top Disney movie (Pollyanna, anyone?). 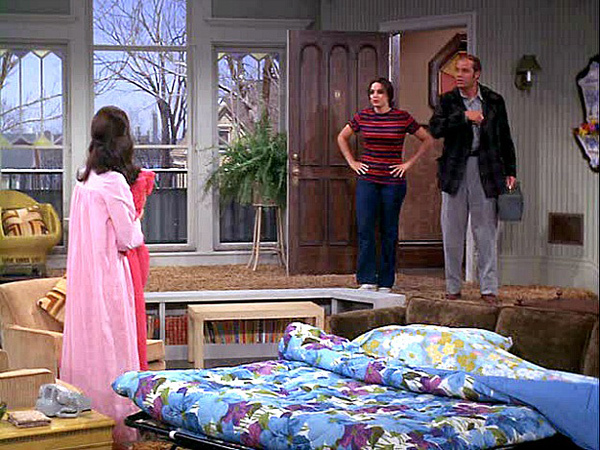 Instead, The Mary Tyler Moore show made it the ultimate single girl pad. 2. 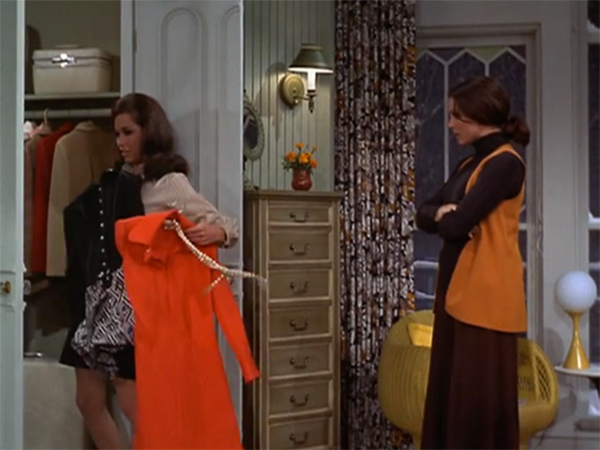 Long before the days of Carrie Bradshaw, Mary Richards had a walk-in closet. To be clear, she slept on a sofa bed in the middle of the living room, but her mini skirts and go-go boots had a place all their own. 3. 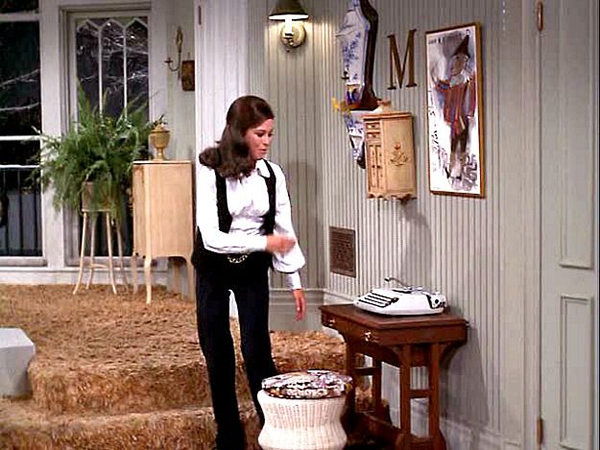 Before the Spice Girls chanted #GirlPower and Destiny’s Child invited all the “honeys who makin’ money” to throw their hands up, their was Mary Richards who hung an ‘M’ on her wall. This independent woman did not need a man to monogram the hand towels. She knew she was important enough all by herself. 4. She rearranged her furniture all the time just because she could. Growing up, my mother was a serial rearranger. The fact that my father and I have any toes left from tripping over the couch is beyond me! But Mary Richards could change the layout of her studio sitting area every week if she wanted… and sometimes she did. 5. Confession: The only shag carpet I have ever loved was in this apartment. I think my affection has something to do with the knee-level library. 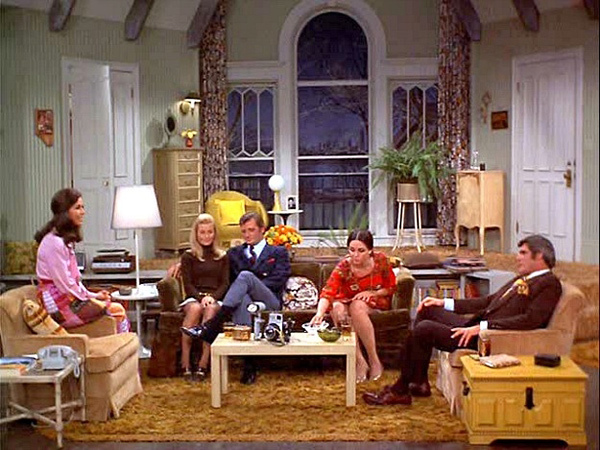 I’m just going to leave this list here and assume I’m not the only one that ponders 1970s tv set design when I’m sick. 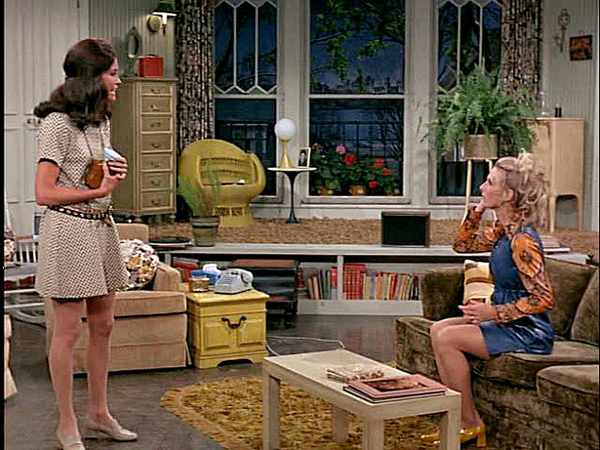 This entry was posted in Uncategorized and tagged 1970s, interior design, Style File, Television, The Mary Tyler Moore Show. Bookmark the permalink.